Exotic pets – what’s the problem? I bet your first thought was ‘cat’ or ‘dog’. Maybe ‘hamster’ or ‘rabbit’. It’s unlikely that you thought about snakes and lizards, but actually these animals are becoming more and more popular pets. Do you own a female cat? If your answer’s yes, and she’s not spayed, then it’s time to act. This Sunday is the most romantic day of the year. Reindeer – not just for Christmas…! You’ve all heard of Rudolph the red-nosed reindeer, but how much do you know about the real animals? Reindeer are very specialised Arctic deer, native to places such as Norway, Finland and Greenland. Bonfire night is nearly here! 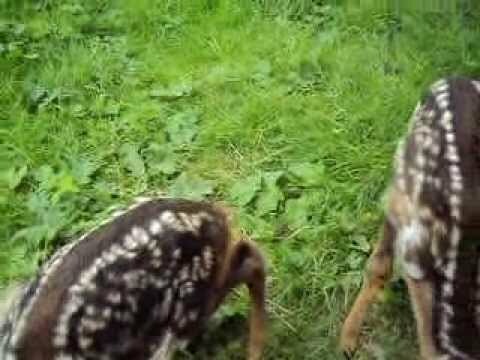 Look how much fun these bouncy fawns are having at one of our wildlife centres!